Experience Bangkok's exciting night life at the Calypso Cabaret Show at the Asiatique, The Riverfront in Bangkok. This spectacular show is performed by katoeys (transvestites) and all of them are extremely beautiful! Enjoy an evening of laughter, lights and lots of beautiful 'women'. 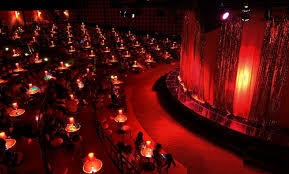 With a capacity of 450 visitors the Calypso Cabaret is one of the biggest in Thailand.